I am loyal to my dreams. A sign I noticed near the compost toilet of the retreat eco-lodge. So poetic. I love dreaming. I take great pleasure in imagining my perfect life. Perhaps my dreams might seem grandiose or idealistic to some, though I don’t care. My dreams are exciting and visceral and they basically fuel my life. I know what I am going for; it’s the striving for my dreams that gets me out of bed every morning and nourishes the choices that I make. My dreams guide my life. 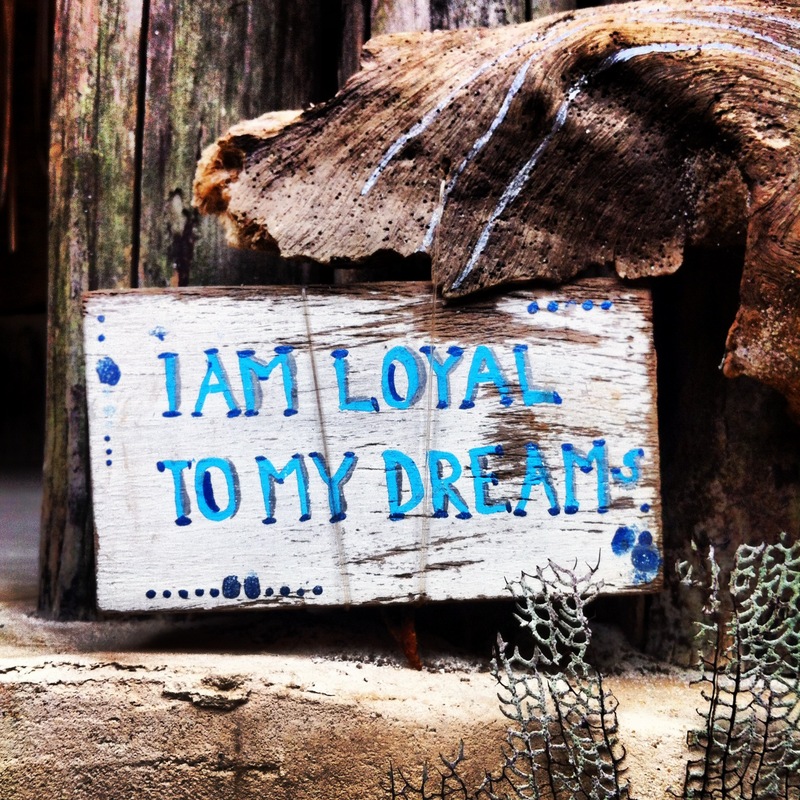 Last week I was in Tulum, Mexico for a Dream Craft Retreat. This entailed us writing out our dreams in five areas of our life, sharing them, and partaking in yogic and shamanic rituals to invite & invoke these dreams into our realities. Before we even met, though, we were asked to evaluate 18 areas of our life: what is, why it is so, what we would change, and why we haven’t yet. Then we chose our top five areas that we’d like to work on and wrote out our ideal situation. Curiously I found this exercise quite challenging, and didn’t delve into it until the night before I left. And I worked on my dreams on the plane rides there. Pressure makes diamonds, right? Reading my dreams out loud was an exciting process, as was receiving feedback on how to refine them even more. I am spelling out my dreams. I am casting a spell on my life. This is what I want, Universe. Pretty please with acerola cherries on top & thank you. EMPOWERMENT. There was also a bonus component of a Morning Tea Ritual that I found to be especially magical. Sitting in the company of eight other babes in quiet contemplation, sipping Puerh & other fine teas. I’ve come to realize that this peaceful tea practice could unlock some serious genius in my life. And keep me sane. More on that in a future post. I feel quite invigorated by my experience from last week. The clarity I’ve received by tuning into what I want is a effective calmative, and it does feel empowering to inspire myself. As I settle into my “normal” rhythm, I am curious to see how this will unfold. This is the part where I surrender and listen for cues & clues. If you like this post, please comment below!